This is such a creative twist on deli meat... It's actually not meat at all! 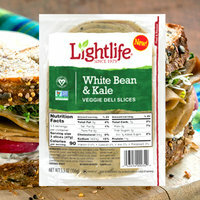 The plant-based slices are made with beans and veggies. The flavor is delicious, and it's a unique product for vegetarians and vegans who don't want their protein to taste too much like real meat. We found it at Trader Joe's... Click to locate near you! 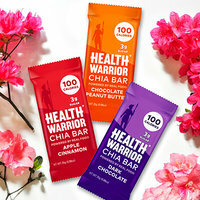 We've been fans of these bars for years, and we’re LOVING the new & improved flavor lineup! Choose from Apple Cinnamon, Chocolate Peanut Butter, Dark Chocolate, Mango, Chocolate Chip Cookie Dough, and MORE. The texture is beyond perfect, and you can’t beat those stats. Score yours at Target or order online. Want the ideal blend of deliciousness and nutritiousness? (Okay, that’s not really a word!) Try this line of kid-crafted cereal. 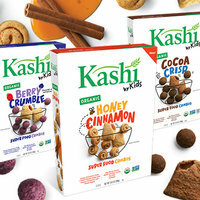 We're crazy about all three varieties -- Berry Crumble, Honey Cinnamon (Lisa’s favorite! ), and Cocoa Crisp -- and we’d happily scoop them onto our yogurt bowls or snack on them straight any day. The best part? Each crunchy cereal square contains smooth flavorful filling... So fun to eat! Find them at Target, Walmart, and select other grocery stores. Get these snacks STAT! FYI: We may receive compensation from some of these links. It may be Monday, but it's also National Fluffernutter Day, October 8th. Here's a fun twist: Split a banana lengthwise, and top with peanut butter and mini marshmallows. It's a FLUFFERNANA! Share these finds with your pals! Click “Send to a Friend” now.